Guerrino De Luca is chairman of the board and chief executive office of Logitech since July 2011. He was Logitech’s president and chief executive office from 1998 to 2007, and its chairman from 2008 to 2011. During his tenure as Logitech’s executive leader, the company posted nine consecutive years of record sales and profits as its annual revenue went from $400 million to more than $2.1 billion, and its operating profit grew from $16 million to more than $230 million. 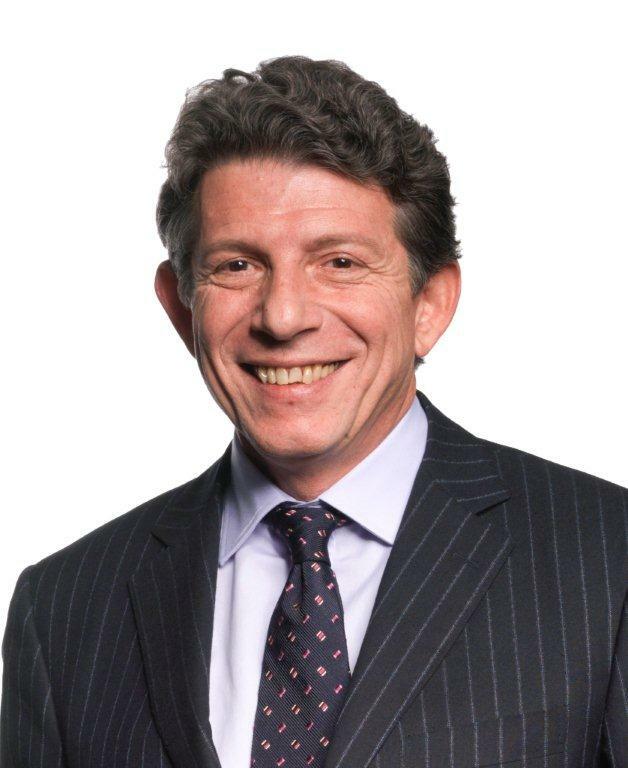 Prior to joining Logitech, Mr. De Luca served as executive vice president of worldwide marketing for Apple Computer, Inc. He was president of Claris Corporation, a U.S. personal computing software vendor, after having served in various marketing positions with Apple in the United States and Europe. He began his career at Olivetti in Ivrea, Italy. Mr. De Luca holds a B.S. degree in electronic engineering from the University of Rome, Italy. Logitech is a world leader in products that connect people to the digital experiences they care about. Spanning multiple computing, communication and entertainment platforms, Logitech’s combined hardware and software enable or enhance digital navigation, music and video entertainment, gaming, audio and video communication, video monitoring and home- entertainment control. Founded in 1981, Logitech International is a Swiss public company listed on the SIX Swiss Exchange (LOGN) and on the Nasdaq Global Select Market (LOGI), doing business in more than 100 countries. In its latest reported year, Logitech had revenues of $2.3 billion and operating profit of $72 million. Ethics is an on-going and constant process. There is no formula other than everybody working every day at the value system toward a culture and decisions that stand up over time. Looking back on certain good decisions reminds CEOs of the difficulty of making consistently good ethical decisions at any point in time. Consistency is a real challenge. The most important corporate ethics matter and the “biggest ethics failure” is “senseless” executive pay for little value added relative to performance. Executive compensation is a “profoundly ethical issue” as it sends signals broadly throughout the organization and to the public. Compensation includes such components as golden parachutes and the timing of stock grants. This view largely, but not exclusively, focuses on the financial services sector – in part because society perceives less added value from financial institutions. The populist backlash against CEOs is largely understandable. The increasing regulation in response is largely deserved. Over the sustained 10 years of Logitech success when the company’s value climbed from $400 million to over $6 billion, my equity based compensation was substantial. However, this compensation was clearly linked to this period of years of sustained financial success for Logitech shareholders and employees. Compensation is the responsibility of the entire board and the executives. The CEO must be aware and recommend against any excessive compensation the Board might be inclined to grant. The focus must be not only the individual’s performance, but also the company’s performance for shareholders over time. Many factors distort the ethical value of benchmarking, such as boards’ frequent belief that their CEO performs above average and a natural deference to CEOs. Profit drives much of the first line corporate ethical challenges, so from that perspective non-profit organizations are not comparable. Similarly, CEO pay is more egregious in the corporate world. Some second tier matters (e.g. carbon footprint) would be more common and presumably opportunities for common standards. First, the value system is the focus. The value system protects from misbehavior and guides conduct. Ethics underlies the value system and is a core part of Logitech’s definition of success even though the word “ethics” may not be mentioned in regular management meetings or a particular discussion of an ethics challenge. The performance culture must include how we treat people at all levels at all times for all issues – not just quantitative indicators such as sales quotas. Ethics is a performance metric. Second, the organization must eliminate taboos and a culture of terror. Terrorized people will not raise difficult issues. The CEO should proactively explore issues that seem unclear in order to communicate willingness to discuss taboos openly. CEO inquiries also show the CEO’s interest in those issues, so others in the organizational hierarchy feel sensitized and responsible. 5. What are your strategies for ensuring ethical policies and standards flow down through all levels of the organization and to all stakeholders? The single most important element is setting the tone of the ethical culture. The “New York Times test” counts: whether a decision would feel comfortable if published on the front page – assuming fair and accurate journalism. Hiring is critical to an ethical cultural because ethics is fundamentally about people. Keeping an eye on ethical behavior counts enormously, for example carefully observing how women are treated in Europe (where diversity clearly appears on the surface but may subtly fail below the surface). The value system and ethics also reach clients. Logitech aims to ensure that every new product at least marginally improves the lives of customers – not just baseline consumer safety. Again, organizational penetration of ethics is a constant process. At Logitech compliance with regulation is taken very seriously. However, in some respects regulation can be dangerous. First, compliance can create an unjustified corporate comfort level that because all regulations are respected “everything is fine” ethically. Regulators then over-regulate in response by adding more and more new regulations to chase every possible ethical transgression. The U.S. is especially prescriptive. Europe has a more effective principled approach allowing decisions within guidelines that keeps the attention to ethical responsibility active. Culture is important in ethics analysis and implementation. Culturally sensitive communication of ethics principles and policies is essential to prevent the organization’s standards from seeming foreign. In addition, management’s sensitivity and experience with the relevant cultures helps international integration of ethical standards enormously. For example, management has a responsibility to know if in a particular culture it is difficult to acknowledge failure and to act accordingly by finding alternative ways to detect failure while allowing the relevant individuals to “save face”. At Logitech, a Swiss headquartered corporation, ethics policies and standards apply internationally across 120 countries. International value systems and ethics are possible and important but again depend largely on management’s cultural understanding and sensitivity. The US is the “first degree” in terms of formalization of ethics matters (e.g. training); Europe the “second degree” (often finding US formalization unhelpful or even ridiculous); and in other countries like China, formal training is less effective than personally engaging individual managers in explicit conversations about potentially sensitive issues. The biggest mistake is focus on short-term profits and maintaining the appearance of stability and continuity when in fact there usually is no stability and continuity. Occasionally CEO’s need to “rock the boat.” The “essence of management is managing uncertainty.” It’s also important not to underestimate the “small stuff” – little ethical transgressions increase by little increments but lead to big problems over time. Finally, again, ethics oversight takes time and never ends.